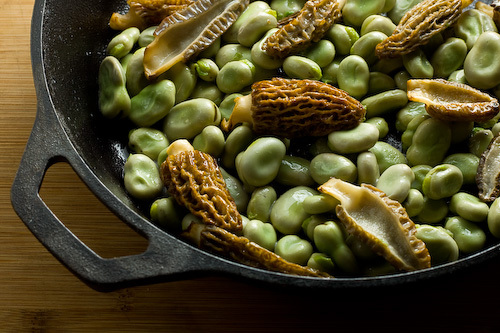 Ingredients 35–40 small fresh morels 2 tbsp. butter 2 tsp. finely chopped, peeled shallots 1 tbsp. Madeira 1 cup heavy cream 4 pieces of white sandwich bread 1 tsp. 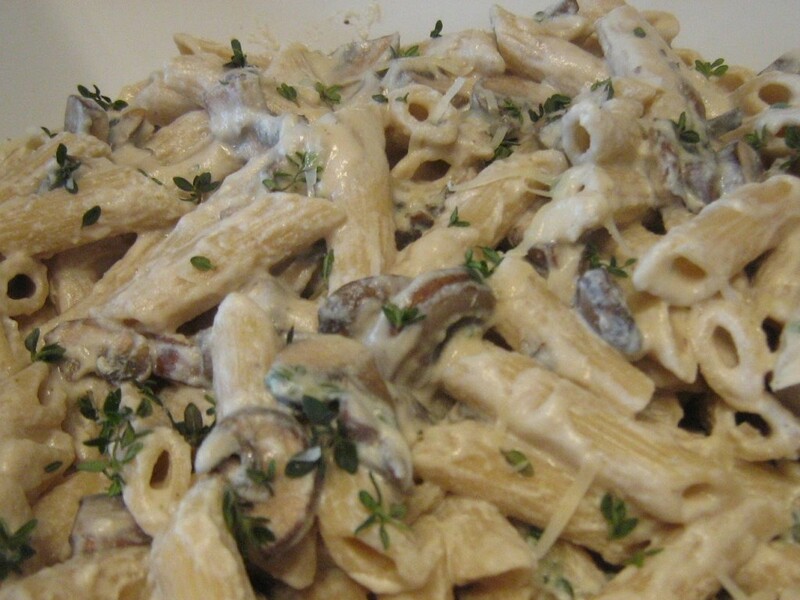 arrowroot Salt and freshly ground black pepper Finely chopped fresh parsley Directions Clean and trim morels. Melt butter in a large skillet over medium heat. Add morels and shallots. Cook, stirring, until morels begin to soften, about 3 minutes. 2. Increase heat to high, add madeira and heavy cream, and bring to a boil. 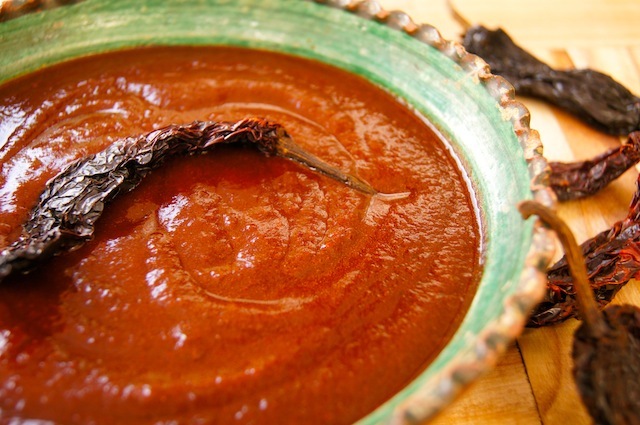 Reduce heat to medium and simmer, stirring frequently, for 8 minutes. 3. Meanwhile, remove and discard crusts from bread. Toast bread, cut diagonally, and arrange on 4. Ingredients 3 lbs. small fresh fava beans in the pod Salt, to taste 3 tbsp. extra-virgin olive oil 12–15 fresh medium morels, cleaned and halved or quartered lengthwise 1 tbsp. crème fraîche Directions Remove fava beans from pods (don’t peel favas) and rinse under cold running water. Meanwhile, bring a medium pot of salted water to a boil over high heat. 2. Add favas to boiling water and cook, stirring occasionally, until just soft, 5–8 minutes. Drain and set aside. 3. 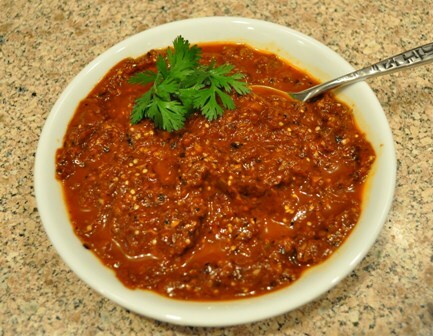 Heat oil in a large cast-iron or other heavy skillet over medium-low heat. 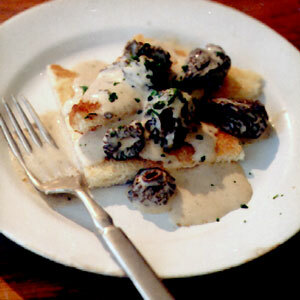 Add morels and gently cook, stirring occasionally, until soft, 3–4 minutes. Stir in crème fraîche, then. Ingredients 1 head organic cauliflower. trimmed, cut into florets 5 Yukon gold potatoes, peeled, cut into 1/2″ slices 1/2 cup organic low-fat milk 2 tablespoons pastured organic butter Sea salt and freshly ground black pepper 1 tablespoon white truffle oil Directions Bring large pot of water to boil. 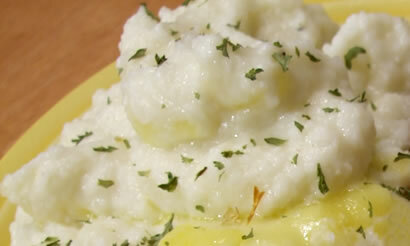 Add cauliflower and potatoes; cook 15 minutes or until tender. Drain well. Place in mixing bowl and add milk and butter; beat until smooth. Season with salt and pepper. Drizzle in white truffle oil. 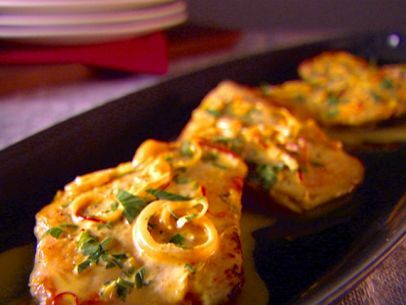 Ingredients 2 tablespoons olive oil 1 pound chicken cutlets (scallopine) 2 shallots, sliced 1 clove garlic, minced 1/2 cup white wine 1 1/2 cups chicken broth 1/4 teaspoon saffron threads 1/2 cup heavy cream 3/4 teaspoon salt 1/4 teaspoon freshly ground black pepper 3 tablespoons chopped fresh flat-leaf parsley Directions Warm the olive oil in a large skillet over high heat. Season the chicken cutlets with salt and pepper. Cook the chicken until golden and cooked through, about 2 to 3 minutes per side. Transfer the chicken to serving plate and tent with foil to keep warm. Turn the heat to medium, add the shallot and the garlic and cook. Ingredients 1 1/2 ounces dried porcini mushrooms 1 cup warm water 2 tablespoons olive oil 1 cup chopped onion 2 garlic cloves, minced 1/2 cup dry Marsala 1/2 cup dry white wine 1 teaspoon minced fresh rosemary 1 cup chicken stock or canned low-salt chicken broth 1 cup beef stock or canned beef broth 1 tablespoon butter, room temperature 1 tablespoon all purpose flour Directions Combine porcini mushrooms and 1 cup warm water in small bowl. Let stand until mushrooms soften, about 30 minutes. 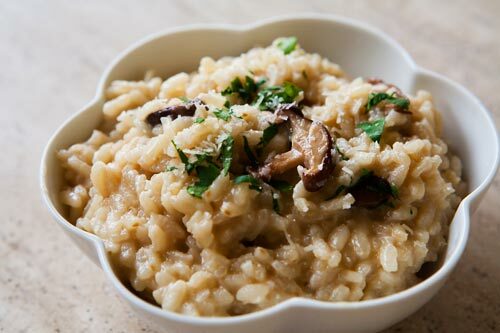 Remove mushrooms from liquid, squeezing excess liquid from mushrooms back into bowl; reserve liquid. Place mushrooms in another small bowl. Heat oil in heavy large saucepan. Ingredients 2 cups packed fresh basil leaves 2 cloves garlic 1/4 cup pine nuts 2/3 cup extra-virgin olive oil, divided Kosher salt and freshly ground black pepper, to taste 1/2 cup freshly grated Pecorino cheese Directions Combine the basil, garlic, and pine nuts in a food processor and pulse until coarsely chopped. Add 1/2 cup of the oil and process until fully incorporated and smooth. Season with salt and pepper. If using immediately, add all the remaining oil and pulse until smooth. 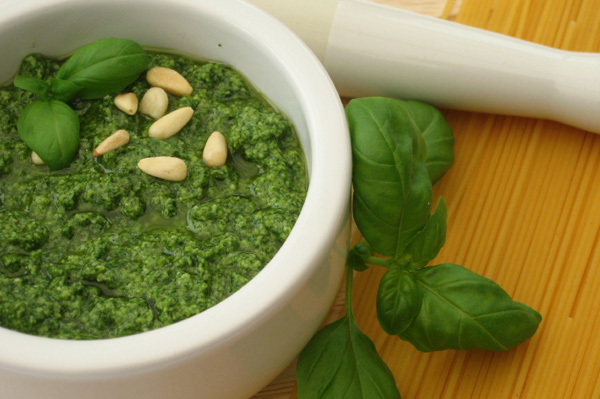 Transfer the pesto to a large serving bowl and mix in the cheese. 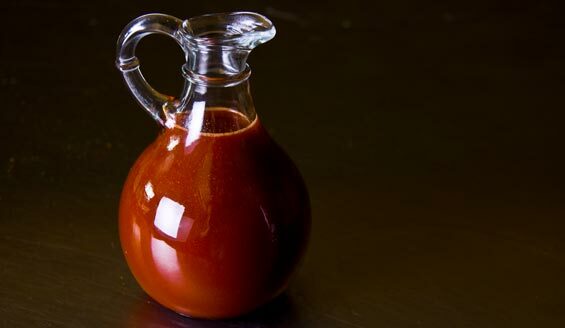 If freezing, transfer to an air-tight container and drizzle remaining oil over the top. Freeze. Ingredients 8 cups chicken broth, low sodium 3 tablespoons olive oil, divided 1 onion, diced, divided 2 garlic cloves, minced, divided 1 pound fresh portobello and crimini mushrooms, sliced 2 bay leaves 2 tablespoons fresh thyme, chopped 2 tablespoons fresh Italian parsley, chopped 2 tablespoons butter Salt and pepper 1 tablespoon truffle oil 1 -ounce dried porcini mushrooms, wiped of grit 2 cups Arborio rice 1/2 cup dry white wine 1/2 cup fresh Parmesan cheese, grated Fresh Italian parsley, for garnish Directions Heat the chicken broth in a medium saucepan and keep warm over low heat. Heat 1 tablespoon of oil in a large skillet over medium heat. Add 1/2.